Facebook Messenger API, Amazon wants robots, Facebook video embeds, RadioShack sells everything, Halo Online in Russia, and when Apple Store employees go bad. Pro tip: you don’t need to wait for an update to Facebook Messenger in the App Store – the app integrations should be in your app now. Facebook is opening Messenger up to third-party developers, allowing them to add apps of their own. 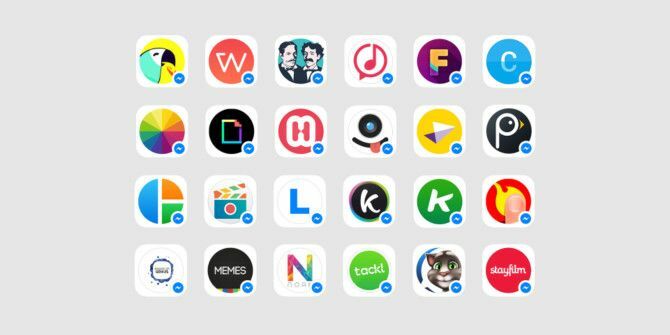 Messenger Platform turns Messenger from a simple app into its own platform, with 40 new add-ons having already been developed. 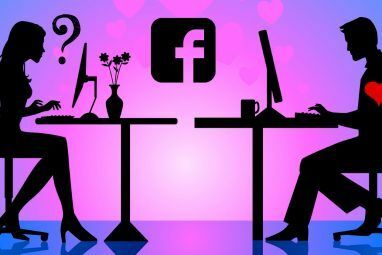 Rather than install apps to your smartphone via Google Play or the App Store, you’ll install apps to Facebook Messenger How Bad Are Those Facebook Messenger Permissions Anyway? How Bad Are Those Facebook Messenger Permissions Anyway? You've probably been hearing a lot about Facebook's Messenger app. Let's quell the rumors and find out if the permissions are as bad as they claim. Read More . These will then add new ways of communicating to Messenger, with, for example, Giphy sending animated GIFs, JibJab sending eCards, and The Weather Channel sending forecasts, all from within Messenger. This is a bold move, but one which could make Facebook Messenger its own self-contained social network. 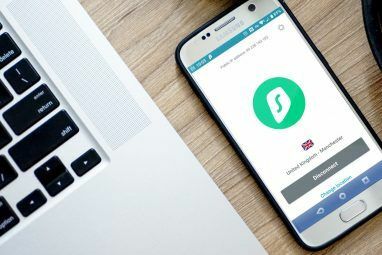 Messenger already has 600 million users, which explains why companies are keen to jump on board even though it means giving up some power to the mighty Facebook. Amazon already uses robots to transport goods around its giant warehouses prior to sending them out to customers, but the online retailer has plans to increase its autonomous army of pickers and packers 4 Technologies That Are Bringing One-Hour Shipping to Life 4 Technologies That Are Bringing One-Hour Shipping to Life Amazon recently rolled out its new 'Prime Now' shipping service to some Manhattan neighborhoods. Scaling this service up to the rest of the world is a huge task that will leverage the most advanced technologies. Read More . Which is obviously great news for the human workforce. The robots currently employed by Amazon mostly move heavy loads around the warehouses, at which point human employees take over. But according to MIT Technology Review, Amazon is looking to automate the whole process, including the picking and packing of items of all shapes and sizes. To this end, 30 teams will compete in May at the International Conference on Robotics and Automation in Seattle. The robots able to best pack a range of items into boxes will win, with prize money of $25,000 up for grabs. However, the real winner will be Amazon, as this could signpost a future when humans are surplus to requirements What Happens When Robots Can Do All the Jobs? What Happens When Robots Can Do All the Jobs? Robots are getting smarter fast -- what happens when they can do every job better and cheaper than human beings? Read More . Facebook is finally allowing users to embed video on other sites across the Web. 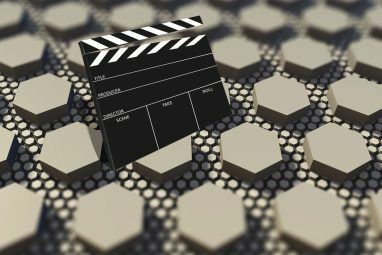 YouTube has been offering this rather obvious feature How to Embed a YouTube Video & Other Media in Your PowerPoint Presentation How to Embed a YouTube Video & Other Media in Your PowerPoint Presentation Typical presentations are dull affairs with text and corporate backgrounds providing little of interest. Media files can lighten up the experience. We show you how to embed even videos. Read More for many years, but Facebook has caught up at last, letting users embed videos hosted on the social networking site with a simple HTML code. Users previously had to link to the actual Facebook page, which is why no one bothered. Facebook has also unveiled a new type of content it’s calling “spherical videos.” These are shot using 24 cameras working together to create a 3D environment the viewer can move through and explore from all angles. Again, YouTube has beaten Facebook to the punch, having recently unveiled similar technology Cortana Coming to Android & iOS, Facebook Clarifies Community Guidelines [Tech News Digest] Cortana Coming to Android & iOS, Facebook Clarifies Community Guidelines [Tech News Digest] Cortana crosses platforms, Facebook's community standards, Yahoo's password pact, 360-degree YouTube videos, Family Feud on Google, and a 1980s montage of Boston Dynamics robots. Read More , but competition is always healthy. As part of its bankruptcy auction Uber Develops Self-Driving Cars, Twitter Unveils Instant Timeline [Tech News Digest] Uber Develops Self-Driving Cars, Twitter Unveils Instant Timeline [Tech News Digest] Uber takes on Google, Twitter helps new users, RadioShack looks to shut up shop, Adobe PaintCan helps you draw, Bayonetta comes to your browser, and Mr. Selfie ignores everybody. Read More , troubled U.S. electronics retailer RadioShack is selling off the personal data of millions of its customers. According to Bloomberg, 13 million email addresses and up to 65 million customer names and physical addresses are included in the assets sale. The attorney generals of both Texas and Tennessee are fighting against this sell-off, citing the fact that RadioShack stores formerly displayed signs stating, “We pride ourselves on not selling our private mailing list.” Just because the company is in deep financial trouble doesn’t mean its customers should pay the price. Microsoft is releasing a free-to-play version of Halo titled Halo Online, but unfortunately, it’s only available in Russia. 343 Industries has created the PC game in conjunction with Saber Interactive and Innova Systems, and it’s starting life in a closed beta. There are currently no plans to release Halo Online anywhere other than Russia, and it looks unlikely to be released on Xbox One or Xbox 360. So, screw the rest of us, but PC gamers I Abandoned PC Gaming, But Now I'm Back & Here's Why I Abandoned PC Gaming, But Now I'm Back & Here's Why Years ago, I was fully into gaming on my PC. I owned a PlayStation 2 and barely ever hit the power button to turn the thing on. I just did not see the value in... Read More in Russia certainly have something to celebrate. And finally, with their distinctive uniforms and smug attitudes, you can spot Apple Store employees a mile off. But this also means they can be mimicked rather easily. As these pranksters prove. Are you pleased to see Facebook opening Messenger up to other apps? Could your job ever be done by a robot? Should RadioShack be allowed to auction off its customer data? Explore more about: Facebook, Online Privacy, Online Video, Robotics. unfortunately, M$ Halo will be hacked. Always has, Always will be. It doesn't delete it, just deactivates it. friends won't be able to go to your page. Another reason I'm glad I got rid of Facebook. I don't need them intruding in my life anymore. And they're getting more and more intrusive and they are becoming Big Brother in a big way!! Congs, Christopher, phantastic decision! How did you do it (technically)? I must admit I wish more people would deactivate their Facebook accounts. It's never good when anyone one entity gets this big and powerful.